In February 2019 Samsung Display started production its new 15.6" UHD (3840x2160) OLED laptop display panels. SDC is targeting premium laptops, as these ultra high resolution panels are optimized for gaming, graphic design and video streaming. 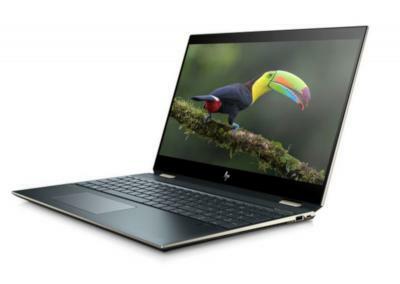 Samsung already signed up a few customers - including HP with its Spectre x360, Lenovo with the Yoga C730 and Dell with the XPS 15, Dell G7 15 and the Alienware m15. According to a new report from Taiwan's Digitimes, Samsung is aggressively seeking new customers for its OLED laptop displays - and the company has pricing its 15.6" OLEDs at only $50-60 above comparable LCD displays. Casio's interesting PRO TEK WSD-F30 smartwatch is is now shipping for $549 (note: affiliate link to Amazon). The PRO TEK is an Android Wear OS deviec that sports a round 1.2" round 390x390 AMOLED display with a monochrome transparent LCD on top that can be used to conserve battery life (up to a month with wireless off). 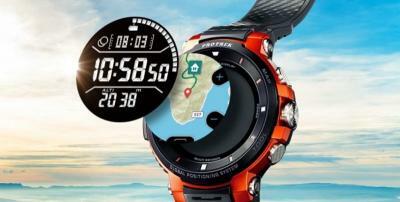 The watch features a MIL-STSD-810 certification, GPS, Bluetooth and Wi-Fi. IHS released its LCD and OLED smartphone display cost model for Q3 2018. According to IHS, a 5.7" 2560x1440 rigid OLED costs $18.62 to produce, a full-display flexible curved 5.8" 2880x1440 OLED costs $22.61 and a Notch-type 5.9" 2438x1125 OLED costs $28.18 to produce. It is not clear how IHS estimates yields - from our information SDC's production yields are much higher compared to the new makers such as BOE and LG Display - which means that yielded costs are much lower at SDC's mature OLED fabs. Fuji Chimera Research Institute says that the global microdisplay market reached $161 million in 2018, with AMOLED taking up a market share of 27.8%. LCoS is still the leading technology with a market share of 59.7%. Fuji Chimera expects the OLED microdisplay market to grow to $75 million by 2021 - a CAGR of 10.9%. 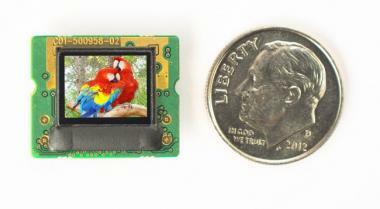 The average unit price for an OLED microdisplay will reach $32 (35% higher than LCoS microdisplays). Researchers from Korea's Ulsan National Institute of Science and Technology developed a new perovskite-based LED (PeLEDs) which are flexible enough to fold and are also transparent. It seems as if these LEDs are similar to OLED devices and provide area-lighting and not point-lighting like inorganic LED chips. Perovskite-based LEDs have been demonstrated before, but this is the first time a transparent and flexible one has been developed, according to the researchers. Perovskite LEDs feature high electron mobility, good color purity, and easy color control. BlurBusters posted an interesting article that uses high-speed video (960fps) capture to show the advantages of OLED displays over LCDs in terms of response time. In the video above, you can see the almost instantaneous response times of the 10.5" 2560x1600 Super AMOLED display of Samsung's Galaxy Tab S4. In the video below, you can see the response time at 960fps of Apple's MacBook Pro 2015 (IPS LCD). Blurbusters explains that the Gray-to-Gray (GtG) response time of the OLED is around 0.1 ms - far better than the 5 ms one of the LCD. 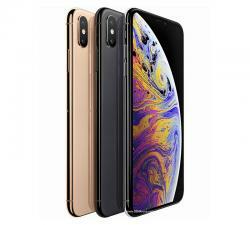 The Wall Street Journal reports that Apple plans to finally drop LCD from its iPhones in 2020 - and to use OLEDs in all of the models. WSJ also says that Apple plans to release an ambitious 2020 iPhone lineup with "a more flexible handset design". The 2019 lineup will be an "iterative change" from the current Apple lineup - and will still use an LCD in the lower-end model. HDTVTest posted an interesting interview with Cadmium-Free QD developer Nanosys CEO and president Jason Hartlove. In this long interview Jason discusses the company's technology and recent achievements. Jason reveals that the company is working on emissive Quantum Dots displays - and he expects to have a full-color monitor-size QLED display prototype ready by the end of 2019. Jason says that they hope to show these display prototypes in private demos at CES 2020. 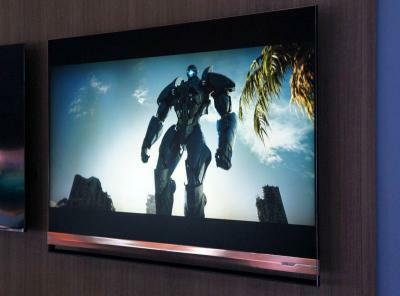 China-based Hisense announced a new technology that the company says will enable its LCDs to compete with OLEDs in high contrast. The so-called ULED XD panels use two LCDs panels, on on top of the other. The inner LCD is a monochrome (geyscale) FHD LCD that is used to block the light on low brightness images, and on top of it is the usual 4K full-color LCD. This is basically a way to achieve a high number of 'local dimming' zones for an LCD display (over 2 million such zones, in fact). The TV itself is very bright (over 2,900 nits) and reportedly offers a great image quality and an almost perfect contrast. HiSense it will release its first ULED XD TVs later this year in China. Apparently SkyWorth is also demonstrating a similar technology at CES. Truly emissive Quantum Dots LEDs is a potential next-generation display technology, that's been under development for many years. In the past years, we've seen great interest in perovskite materials and perovskite-based Quantum Dots, while still at an early stage of research, are showing great promise. Our sister site Perovskite-Info published an interesting article by Ossila that discusses the merits and current status of pQDs. We have recently published a guide to perovskite materials, technology and industry which we consider a valuable source of early stage information for anyone wishing to keep up with the latest trends in our industry.